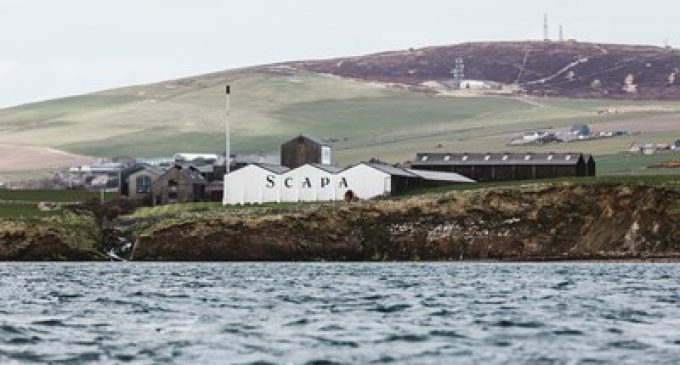 Leading salmon farmer Scottish Sea Farms is preparing to open its new salmon farm off Lober Rock in the Scapa Flow, Orkney. The new farm, which is due to go live in autumn 2019, will see a total infrastructure investment of £3.3 million – over 90% of which will be spent with Scottish businesses. The newly-awarded contracts include: £1.74 million with the Gael Force Group in Inverness to build a 200t steel feed barge – the first to be built at the former Corpach Boatyard in Fort William – along with moorings, 12 x 80m salmon pens, underwater cameras and environmental monitoring technology; £665,000 with Macduff Shipyards in Aberdeenshire to build a 14m catamaran workboat; and £324,000 with W&J Knox in Ayrshire including Seal Pro netting systems to help keep local marine life and salmon stocks safely apart, and maintain Scottish Sea Farms’ record of no seal shootings in Orkney for over three years. In addition to generating revenue for Scottish businesses and service providers, the new farm will create six new full-time roles and lead to further job creation across the supply chain. These latest contract awards come on the back of a year in which Scottish Sea Farms spent a record £113 million across 676 local suppliers – £33 million of which was investment in its new RAS smolt hatchery at Barcaldine – equating to 75% of total supplier spend in 2018, with plans to invest a further £25 million in capital infrastructure projects over the next 12 months. It is estimated that Scotland’s salmon farmers combined spend in excess of £595 million annually procuring goods and services from Scottish suppliers.